Fast rising pop artiste Tea Jazz a.k.a Mr Super Lover who hails from Delta State has been doing music underground for a while; the final year student of the University of Benin who knows how best to combine his career with education as promised to step to the lime light this 2014. 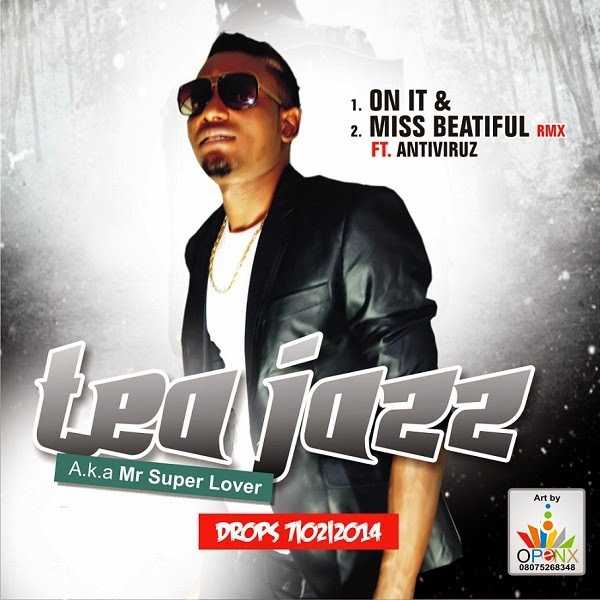 He is currently working with high profile artistes across Nigeria, but before then he emerges with a Remix of his old song ''Miss Beautiful'' featuring one of Nigeria's finest artiste Antiviruz, this is just an appetizer. Enjoy!